Dinosaur Jr. frontman J Mascis is about to get his acoustic guitar on with the forthcoming Tied to a Star LP. Ahead of its release, we get another taste with "Wide Awake." The song offers up a pair of serene acoustic guitars which blast out some finger-picked beauty. 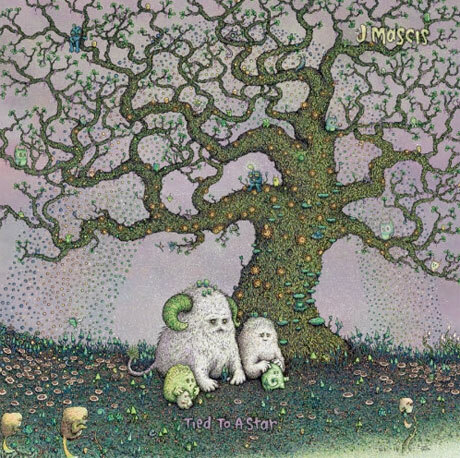 J Mascis delivers some confessional lyrics in his inimitable voice, which is complimented by some sparse back-ups from Cat Power. It all comes to a head with the addition of a subtle organ and, eventually, some gentle percussion. Simplicity is key here, and it works like a charm. Listen to "Wide Awake" below. Tied to a Star arrives on August 25 via Sub Pop.